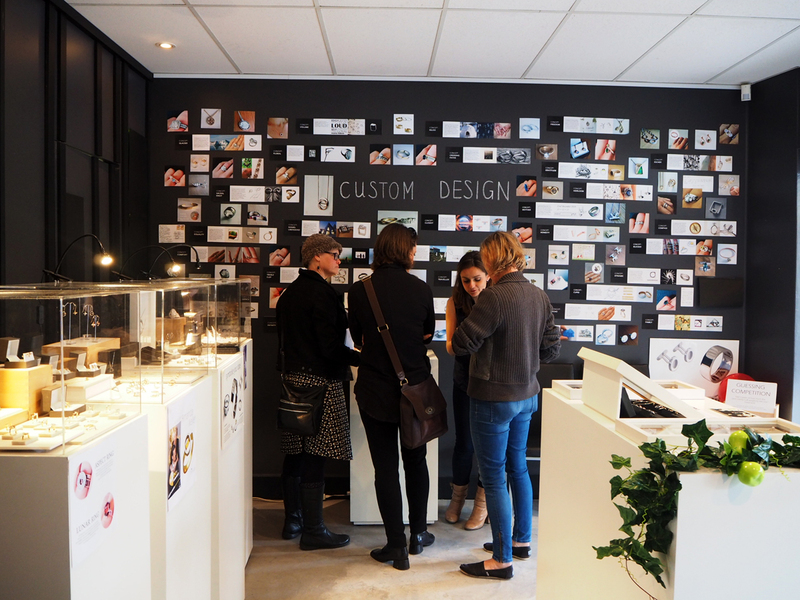 A big “THANK YOU” to everyone who came along to our Design Show last week – we had a wonderful time with all our Bilingual friends. 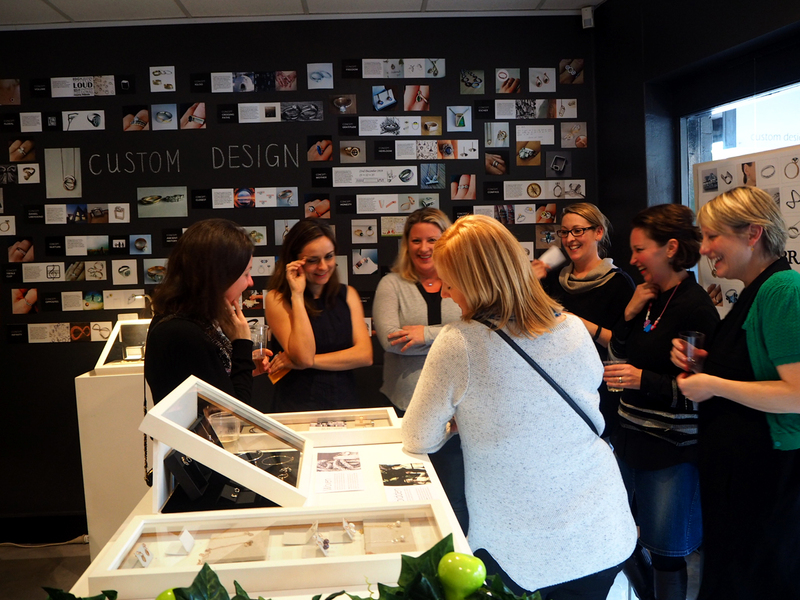 One of the beautiful things about jewellery design is getting to meet so many fantastic people! It’s an honor to share in life’s significant moments and a joy to catch up again. We were also excited to reveal our new creations, including 4 new Bilingual collections! 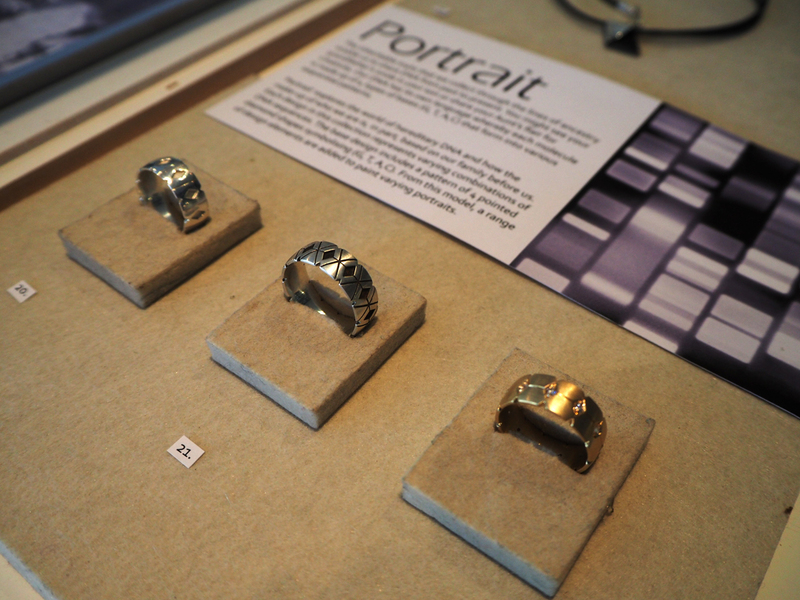 We’re glad that they were so well received and that people resonated with pieces in a special way. We had the pleasure of designing André and Stephanie’s wedding rings a couple years back. It was great to hear what they’ve been up to since! See their rings, here. Marta enjoyed showing off her new creations to our Bilingual friends! 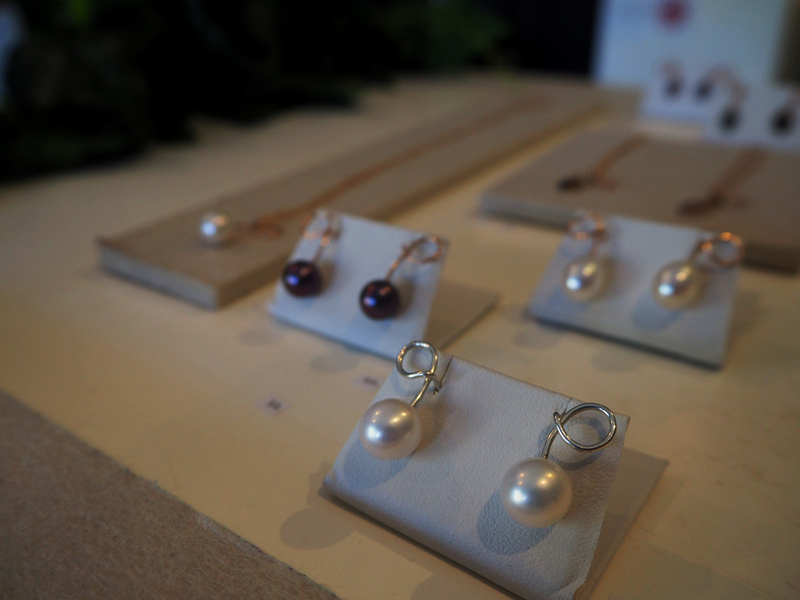 New ‘Serpent Pearl’ earrings from our ‘Forbidden’ collection. 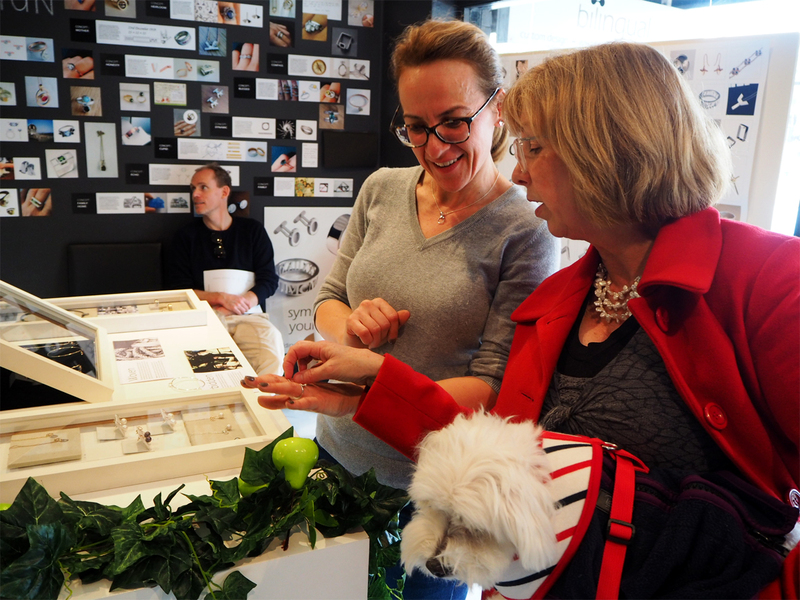 Fiona and Mira had a lot of fun trying on new collection pieces! It was wonderful to have so many people visit, to share a few Cinzano’s and a laugh! The Portrait collection explores the similar traits that are shared within family lines through DNA, and also the variations that occur. 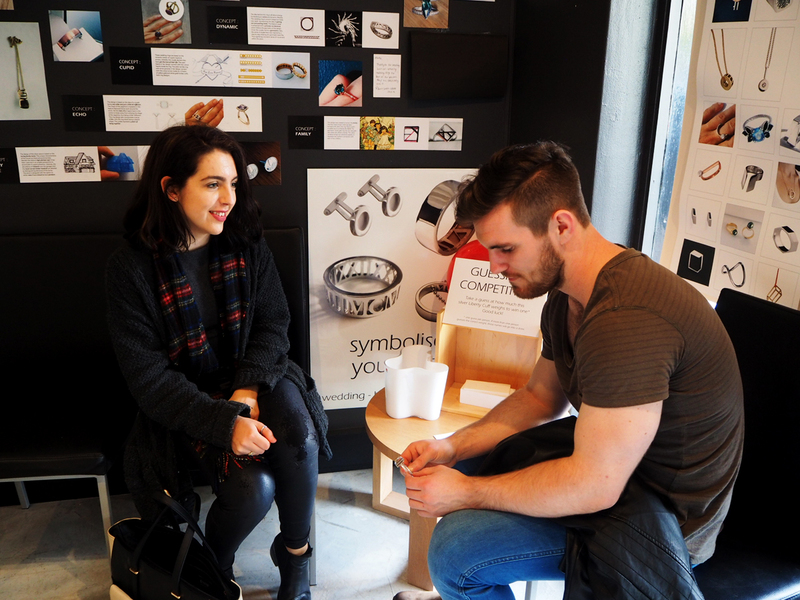 Andrew and Rebecca doing their best to guess the weight of Marta’s ‘Liberty’ cuff. 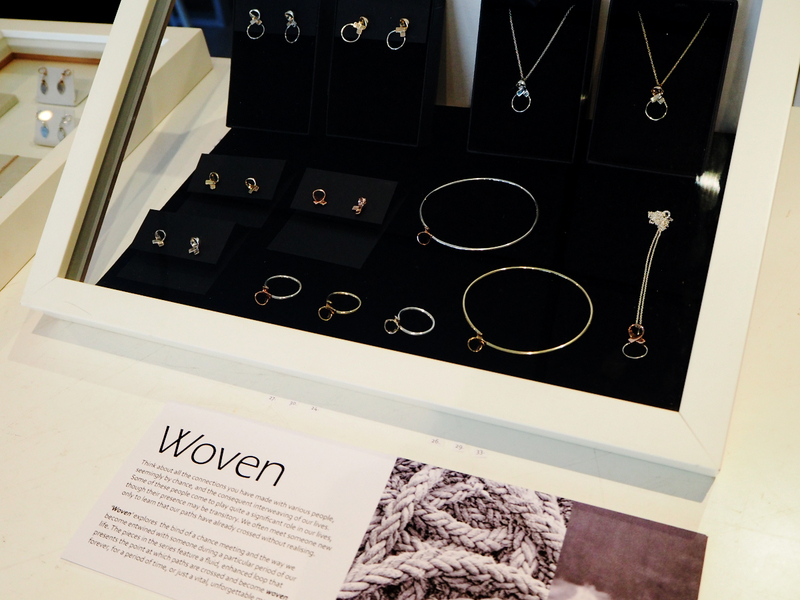 Our new ‘Woven’ collection featured at our Design Show. It draws on the connections we make with people – perhaps for a moment or maybe even a lifetime – who then become woven into the fabric of our lives. 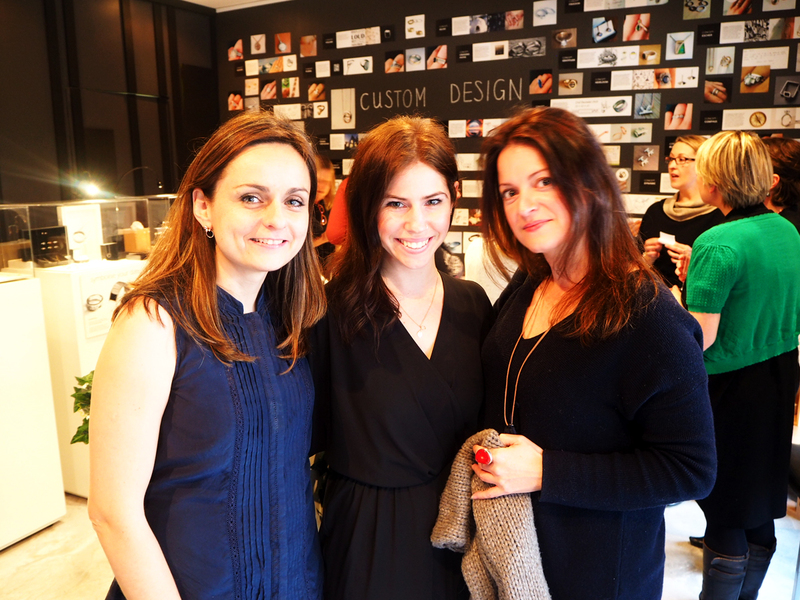 Jodi (right) recently connected with Bilingual to revive some old jewellery pieces that she had. She was very pleased to be able to wear her lovely coral ring again! 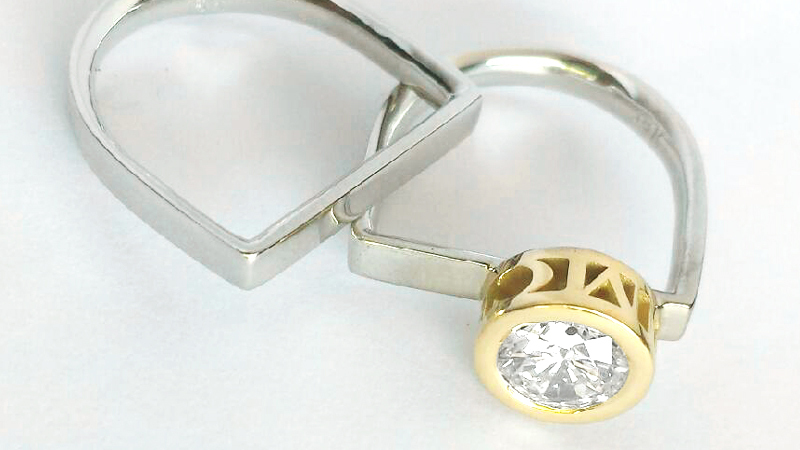 How could we transform your jewellery? 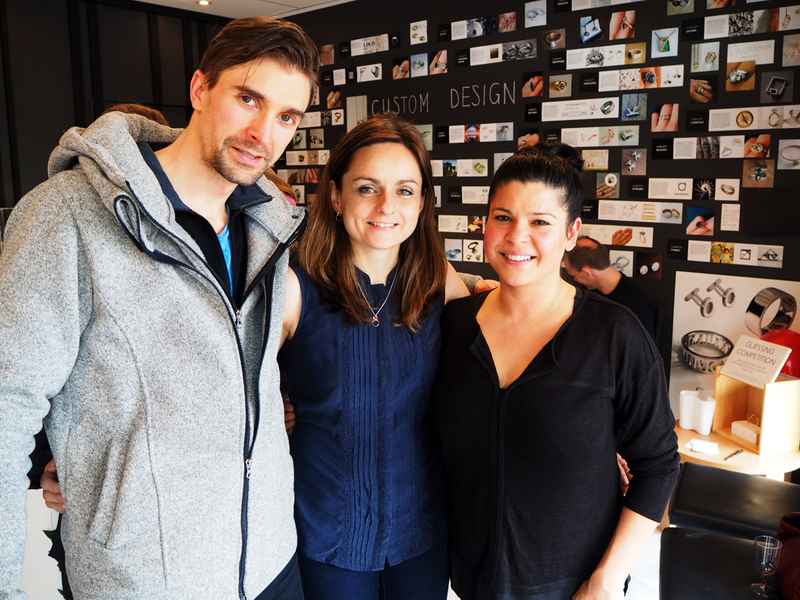 Stay tuned for more on the new Bilingual creations! We’ll be launching our new collections online shortly as well as adding a few extra pieces to existing collections. In the meantime, why not visit us in store!